Our Children’s Department is trying something new this April for Autism Awareness Month. As a way to continue our outreach efforts to children with special needs into the library, we will be hosting our first ever inclusive family film program entitled Sensory-Friendly Family Film. Our idea of a family film program designed especially for children with special needs is modeled after AMC Theatre’s own series of Sensory-Friendly Films. In partnership with the Autism Society, AMC’s Sensory-Friendly Films were first developed in 2007 as recreational opportunities for individuals with autism. These special movie showings welcome people of all abilities to enjoy their favorite films in a safe and accepting environment. The theaters themselves offer a different kind of moviegoing experience, with lights that are turned on and sound that is turned down. Audience members are even invited to move about the room as they please. As explained by the Autism Society, “Being able to relax and enjoy quality family time without worrying if someone will complain or be disturbed by noise of movement is a wonderful experience. It’s a great opportunity for families to meet, siblings of children with autism to get to know other kids, and anyone to enjoy a movie in a climate of acceptance and understanding.” Children with autism spectrum disorder often need a different adaption or a slightly altered environment to feel comfortable. Sensory-Friendly Films offer that supportive environment. There were many reasons why we decided to host a Sensory-Friendly Film program at the library. Our Children’s Department has an ongoing series of Sensory Storytime programs for children with special needs, so we already have a core group of families who visit the library to attend these programs. So, we wanted to build on our first program’s success. We wanted to provide more opportunities for those families to feel comfortable visiting the library in a program that is still as welcoming and inclusive as Sensory Storytime. Another goal of ours was to develop more programs that are family-oriented and welcoming for parents, caregivers, and siblings. That way, families are able to make visits to the library together, with everyone able to enjoy the movie experience regardless of their age or ability. We also wanted to bring attention to our selection of movies that are based on picture books. There are many production companies, such as Weston Woods, Dreamscape, and Scholastic Storybook Treasures, that create quality audiovisual adaptations of picture book texts. By showing one of these movies, we hope to bring more awareness to this mini collection of DVDs, while introducing kids with new characters and connecting them with new stories. 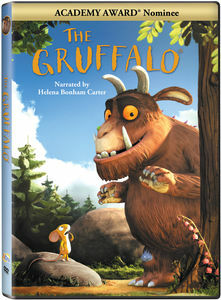 Program Description: Join us for our first sensory-friendly movie showing of “The Gruffalo.” The room will be lighter, the volume will be lower, and audience members will be welcome to move around, talk, and sing. The intended audience is children with special needs accompanied by siblings and caregivers, although everyone is welcome. Noise cancelling headphones and fidgets will be available to use. No registration required–just drop in! Here’s another quick tip. If your library wants to host a family movie program, be sure to first acquire the rights to show the movie in your library. Check out Movie Licensing USA or the Motion Picture Licensing Corporation for more information. To find out more about the history of Sensory Friendly Films and to learn about the one family who made it all happen, click here. For a list of participating theaters in your area, check out AMC Theatre’s website. And to learn about more autism-friendly library programming strategies that work, check out the Libraries and Autism website. Does your library offer Sensory-Friendly Film programming? If so, share your tips and ideas below! 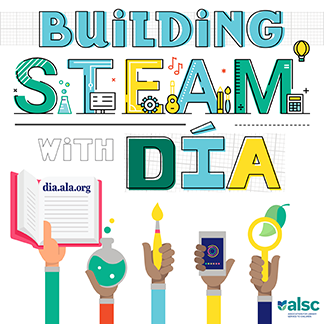 Announcing the ALSC Blog Photo Contest! Thank you so much for all this great information. The program details section in this post is very helpful for other libraries who would like to try this. We are in the planning stages of implimenting a Sensory Story Time at our library and this is another great program idea we can think about. You’re most welcome! I’m so glad that this was helpful. Best of luck with your Sensory Storytime, too! We are planning both sensory storytimes and autism-friendly family movies for April and potentially beyond. I’m a veteran children’s librarian and also the mom of a nonverbal young adult with autism. I’ve been doing sensory storytime for about three years and haven’t found many staff in our 28 branch system who are brave enough to take it on, even though I’ve been sharing the “Libraries and Autism: We’re Connected” video and materials for the past 3 years. Although I hope this is changing now…nothing to be afraid of! My son has been to a special big theater movie showing in Sacramento and actually stayed through the whole thing which was pretty eye-opening for me–if I/they met his sensory needs, he could participate successfully. And libraries are the perfect place to provide this easy program as well as many others! Thanks for your information–hope more folks try this!